7.30pm Thursday 24 October 2013 film program starts at 8pm. 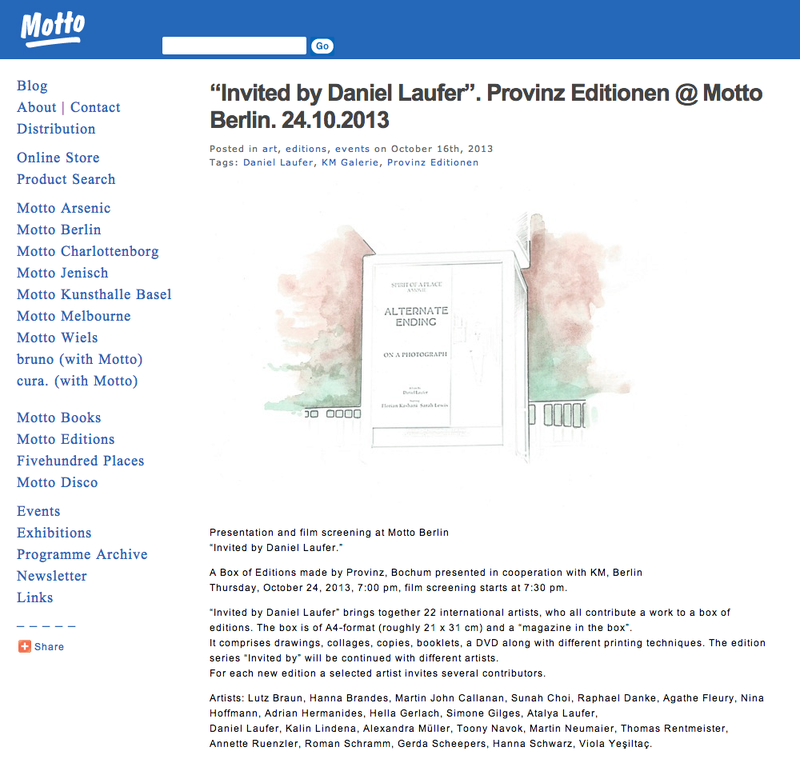 “Invited by Daniel Laufer” brings together a greater group of artists, who all contribute to a box of editions. 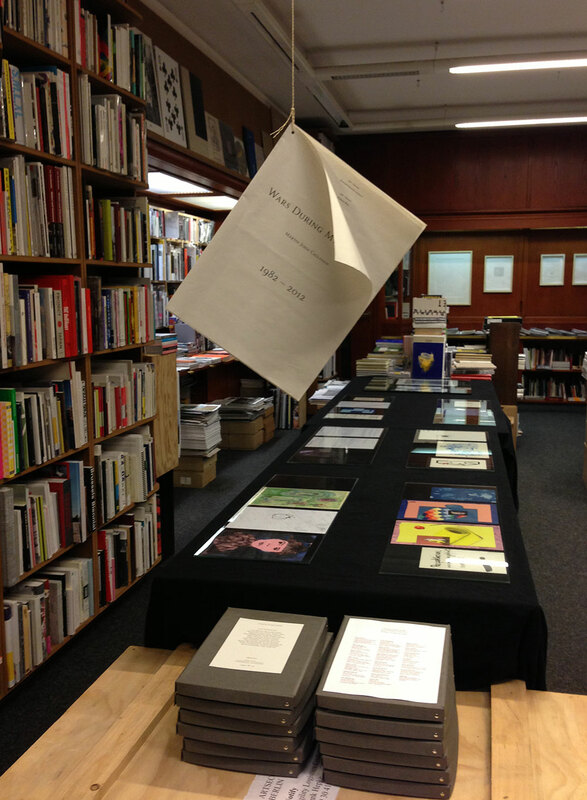 The box is of A4-format (roughly 21 x 31 cm, Edition: 100) and contains contributions by 22 international artists. It comprises drawings, collages, copies, booklets, a DVD along with different printing techniques. The publication is conceived as a “magazine in a box”, yet it contains autonomous and representative artworks of the contributing artists. Artists: Lutz Braun, Hanna Brandes, Martin John Callanan, Sunah Choi, Raphael Danke, Agathe Fleury, Nina Hoffmann, Adrian Hermanides, Hella Gerlach, Simone Gilges, Atalya Laufer, Daniel Laufer, Kalin Lindena, Alexandra Müller, Toony Navok, Martin Neumaier, Thomas Rentmeister, Annette Ruenzler, Roman Schramm, Gerda Scheepers, Hanna Schwarz, Viola Yesiltaç. The presentation of the box is accompagnied by a film program with films by selected artists.